Option to record for longer once motion triggered - Make a Wish - Alfred Center | get the most out of the best home security app! Your app is very useful but I would like the option to set a recording time once motion has been triggered. At the moment any recording stops immediately when movement stops. If it could be set to continue recording for 10/20/30 seconds etc before stopping it would help stop what should be a single clip split into multiples. We are definitely taking your advice into consideration tho! Please continue to support Alfred! Thank you for pitching in! We are definitely looking into this possibility (ie: offering longer recording length for paid users). Please continue to support Alfred and stay tuned! Hi, motion function recocded a car pulling up but did not record person entering my garden or getting back into vehicle but did record vechile pulling away. Because of the 5 seconds rule! Very old topic and nothing changed! I can see why you are disappointed. As a matter of fact, the algorithm has been adjusted for a few times over the past year with the goal of recording longer videos. We also have exciting projects at work that will make Motion Detection smarter. Please stay tuned! Another for wanting longer recording on motion detection settings. I get a lot of 5 second clips that would be one solid 30 second clip. Most of the time the clips I get are missing a couple seconds of action that should be recorded. Please let us set a time length to record once motion is detected. 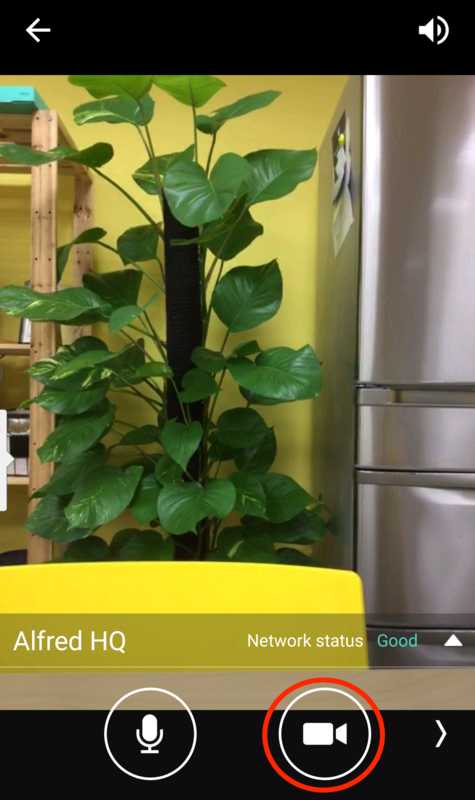 Have it send a notification as soon as motion is triggered, then it can record for 30 seconds before it sends the video. I really want it to record for 30 seconds once triggered. When night vision is active, the motion doesn’t start nearly as fast as it does during the day time and it also cuts off at 5 seconds when the motion lasts a good 8-10 seconds. The day time motion always kicks in perfectly but it does at times cut off early when motion is still active. This is why I want it to go for at least 20 seconds when triggered. Yes Please! The Motion detection keeps cutting out on the videos just as I am about to catch someone! Can you please set it record longer videos and keep recording as long as the motion is continuing? I would really appreciate it. I agree. Brand new to Alfred and that’s my biggest complaint. Sorry but 5 seconds of video doesn’t do me much good. I also agree. I get a bunch of useless 5 second video clips. I would rather be able to change it to either 15 or 30 second clips. This way I can actually see what happened. @mrmchesterton try a wide angle lens adapter, I have had some success with mine. They are £1 of your favourite market website. Do you know we are holding a special event to celebrate our New Logo? Share your Alfred memories and you’ll get the chance to win Alfred Premium!